Free Bet Blackjack is a new blackjack game in Las Vegas. 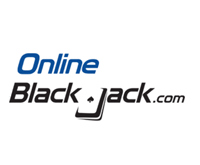 Free Bet Blackjack can only be found at the Golden Nugget in Downtown Las Vegas. The game is distributed by Shuffle Master which is an arm of Scientific Games and was invented by Geoff Hall. The game plays just like a standard blackjack game in most respects. The game is dealt with six standard decks. Players place a bet and are dealt two cards. The dealer also gets dealt two cards with one face down and one face up. After the player is dealt their cards, they decide whether they would like to hit, stand, double down, or split. Surrender is not allowed in Free Bet Blackjack. A natural blackjack pays 3-2. If the player is dealt a hard 9-11, they may double down for free. A player may also double down on 9-11 after drawing to three or four cards. If the player chooses to double down on a hard 9-11, the house will place a token next to their bet. If the player wins the double down, the player is paid on their original bet and also is paid on the free token bet. For example, if a player bets $10 and received an 11, they should double down. The house would then place the free bet token next to the player’s bet. If the player wins, they will receive their $10 back plus $20 from the house. The token goes back into the chip tray. An easy way to think about it is that the payoff is 2-1 in these situations. Players may also receive free splits in the same way on all pairs besides 4’s and ten value cards. If a player receives any other pair, the house will cover their extra bet just as they would for a double down. Players should split any time it is free with the exception of splitting 5’s as these should be doubled down. If a player receives a hard 9-11 after a split even after hitting, the house will cover their double down just as they would if it were the original hand. Even dealer tips that are wagered are matched by the house if there is an allowed split or double down. Players may double down other hands besides 9-11. They may also split 4’s and 10’s if they wish. They will just have to pay for it out of their own pocket. Players may split up to three times to make four hands. This means a player can have up to seven free bets on the table if all of their splits create a hard 9-11. The basic strategy of Free bet blackjack is to double any hard 9-11 unless the player has a nine versus a dealer 10 or ace. Split any pair that is covered by the house except for 5’s, which should be doubled. Too offset the free double down and splitting, there is one big rule that changes the game. The dealer pushes all hands if they have a 22 except for a natural blackjack which is paid immediately if the dealer does not also have a blackjack. If both the dealer and player are dealt blackjack, the player pushes. The house advantage is .57%. This push on 22 is also found in Blackjack Switch, which was also invented by Geoff Hall and is distributed by Shuffle Master. The game was well received on its first night at the Golden Nugget. Players enjoyed the game and dealers dealt the game flawlessly. The special double down and split rules were handled well.